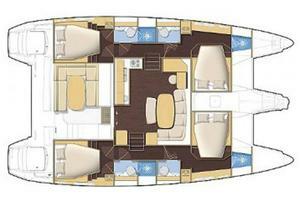 The Lagoon 42 is a very new and current model. It has a sleek style and strong personality. 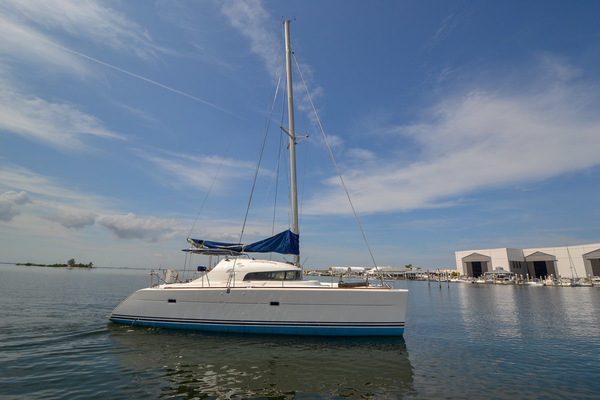 This new member of the Lagoon family is a sublime successor to best selling 421. It shows off a unique visual identity with sleek curves and a groundbreaking single level cockpit. 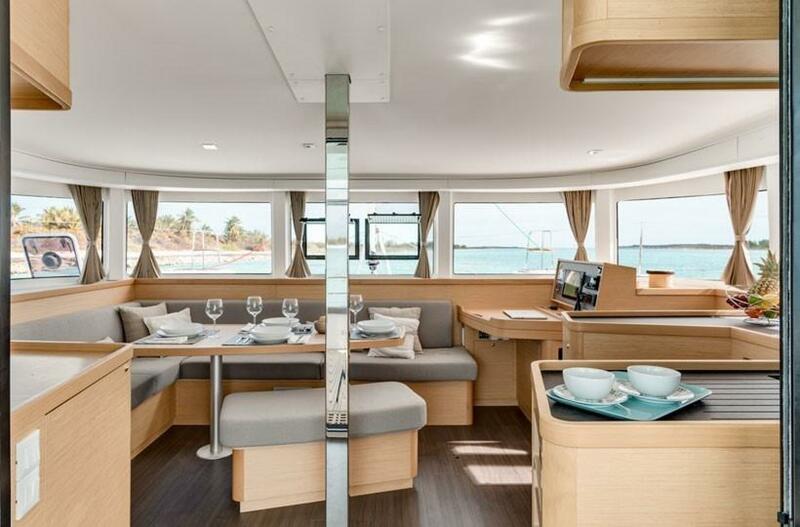 It was awarded the 2017 boat of the year by Cruising World in the less than 50' catamaran category, making this the 4th award for the Lagoon 42 in less than a year. 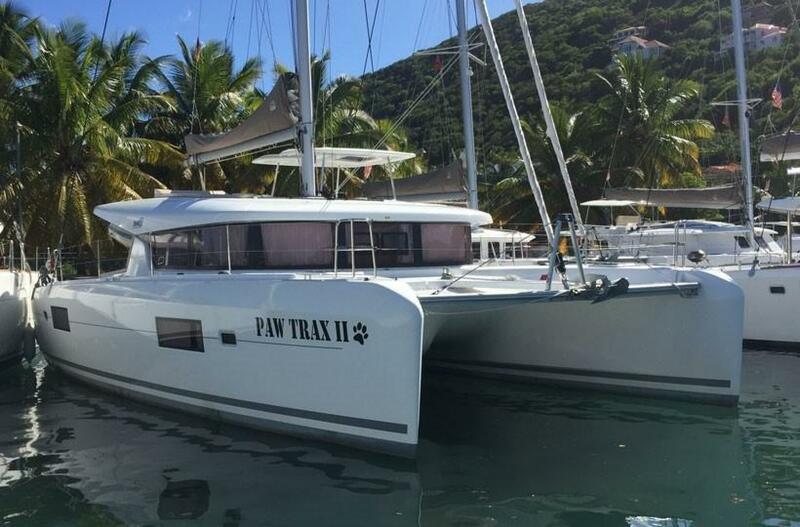 Truly a beautiful and modern catamaran. It is termed a floating French apartment. The Company offers the details of this vessel in good faith but cannot guarantee or warrant the accuracy of this information nor warrant the condition of the vessel. A buyer should instruct his agents, or his surveyors to investigate such details as the buyer desired validated. Photos may not properly reflect the current condition of the actual vessel offered for sale. In some cases stock photographs may have been used. Paw Trax II has 4 cabins. 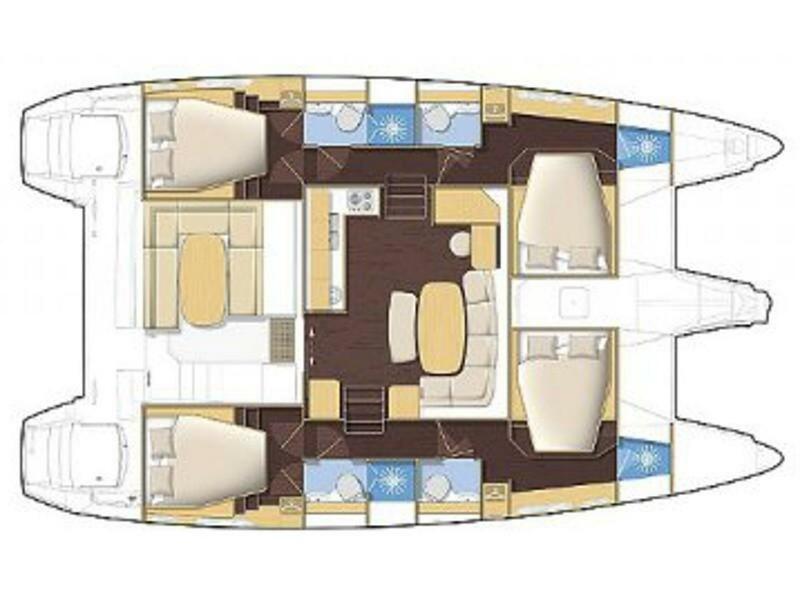 The aft cabins have island double beds and forward cabins have beds with side access. Aft cabins enjoy a bathroom with separate showers. Vertical glazing in coach wood illuminates the area with stunning curved wood finishings. The interior of the 42 delivers a unique and generous living space. The aft salon is very accommodating and generous. The helm is raised just forward of the salon. 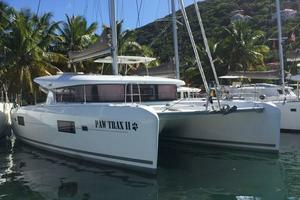 There is comfortable netting and cushions for relaxing forward between the hulls. Fully equipped galley. Top loading refrigerator, and freezer, a 3 burner stove, and a sterling silver sink, 1 gas oven, storage niches, microwave. 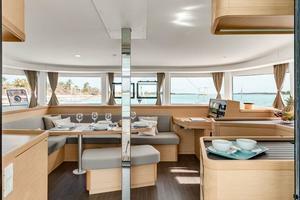 The aft cockpit has cushions throughout, the floor and transoms are teak, a teak cockpit table has with a cockpit fridge in addition the the galley fridge and freezer. 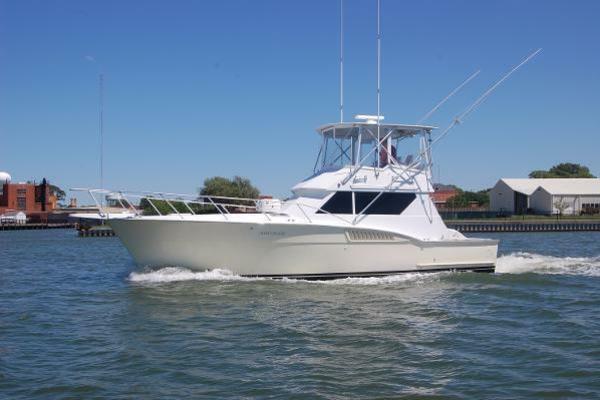 There is a fully enclosed helm and full deck bimini. Electric winches at the helm station. AIS transmit send and receive radio. 2 alternators, 12V , 125A. 2 start batteries.12V, 110A. 2service batteries 12V, 140 AH battery breaker in the engine compartment. Yanmar engines delivering 7.8 knots at 2000 rpm and 8.7 knots at 3200 rpm. Fully batten mail sail 592 sq. ft. Self tacking jib 377 sq. ft. The water storage has been increased to 160 gallons. Underwater lights have also been installed. A cooler/freezer has been added in the aft salon.